Interestingly, my network consists of many SD 91 folks, but it also consists of many, many people who teach in various jurisdictions around the world and my PLN continues to expand weekly. This concept that my learning is not as dependent on a single expert as it is on the learning that I co-create with the others in the room. The power of learning from others is the entire concept behind the power of collaboration or networking and creating opportunities for teachers to TALK with each other can be a very powerful learning experience. I’m hoping (and encouraging) that folks participating in thisEd Camp opportunity this Friday will post their thoughts and impressions within this blog entry. Just a friendly reminder and a gentle nudge that we are still looking for entries into our October Classroom challenge that is focussed on Sportsmanship. If your class has a story about Sportsmanship, please add it to the challenge which can be found HERE. 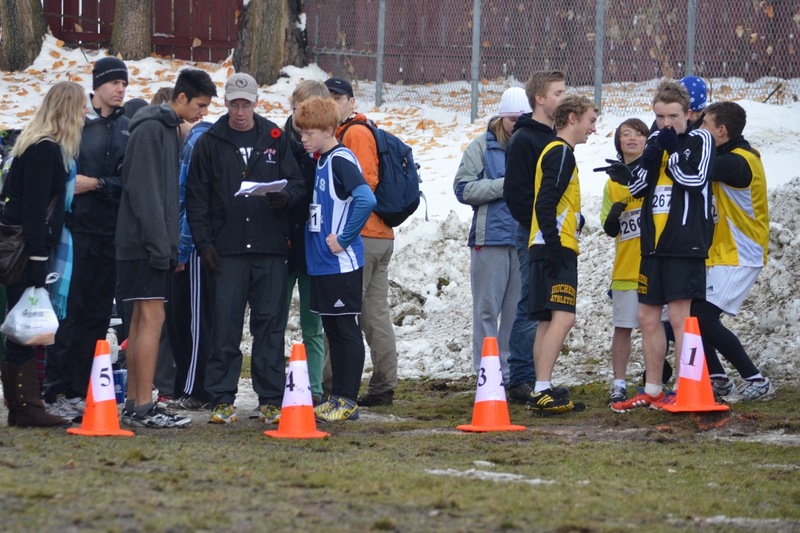 I have one final story to share with any of you that are still reading at this point and it is about the most recent 2012 Cross Country Provincials that were hosted by NVSS, even though the event took place in Prince George. Although the events were scheduled for the weekend of November 10, Brian Nemethy (& some colleagues) drove into Prince George 4 times prior to the weekend to clear snow from the track and ensure that all final details were taken care of. The championship involved 30 boys teams and 30 girls teams – all from different schools – as well as a number of individual entries. In all 279 girls and 286 boys competed. Many positive comments have been received from across the province (and from CBC commentators in PG) and no one mentioned the weather at all. In fact Brian was told that he has now set the new standard for future championships. NVSS hosts again in 2014! Thanks for the shout-out regarding our first attempt at an EdCamp format for Friday, and also for the link to the Delta blogs. I am going to forward this to my staff so they can get a better idea of what we are trying to do. We’ll definitely let you know how it goes. Thanks, Manu!